HOW DID YOUR CAREERS AT iHEARTRADIO BEGIN? Christine Flipse: Back in high school, my whole school participated in a contest with Z100 -- it was a partnership with Musicians on Call and Elvis Duran to “Rent Out Your School.” The school that collected the most CDs to donate to Musicians on Call got to have the Broadway cast of Rent perform at their school -- and my school won! Because of that, I met Marc Rivieccio, who was the Promotions Director for Z100 at the time and now works on iHeart’s National Events team. I served as his point of contact from our school and then he offered me a job as a Promotions Assistant for Z100’s New York market. I was in the Promotions department for about four years until the first iHeartRadio Music Festival in 2011. After the first festival, the National Programming Group was created, which is the department we’re in now. Nicolette Bussanich: I worked at experiential marketing agency, and original home of Concierge.com, Pop2Life, as an event concierge coordinator for a year and a half. Pop2Life managed iHeart’s contest winners and VIP hospitality and I worked directly with Christine. I worked with the VIPs, booking their travel, hotel arrangements, managing their itineraries, and doing ticket pick-ups onsite. When a position opened up to work underneath Christine, I applied and got the position. What are the biggest differences between your first Festival experience and the most recent one? Flipse: The first one, in 2011 was a bit chaotic. We were just trying to figure it all out and bring it together and it was crazy. It’s still crazy, but now it’s an organized chaos with processes in place, we know what we’re doing and it’s a well oiled machine at this point. We’ve been in a great groove over the last few years and we’re still learning every year. It’s grown significantly. Festival is iHeart’s biggest event, we call it our Super Bowl, but each year gets bigger and bigger and we’re still surprising ourselves on what we’re able to accomplish. Bussanich: My first Festival was in 2015, so I’ve done four festivals total, but only two on the iHeart side. During my years with Pop2Life, the Festival was always the project that required the most manpower, but the process had already been pretty structured. Now, being on the other side and handling the event from iHeart’s perspective, I appreciate even more how much hard work goes into the event and how we’re constantly improving the process. Each year, we’ve gotten more creative and more organized. We’ve learned how to interact and maneuver as a team and that’s been a fundamental part of our success in making the guest experience that much better. Describe Festival's planning process. How big a role does guest management play when you're planning every year? Bussanich: Guest management plays a huge role. We handle thousands of guests, including VIP iHeart clients who spend millions of dollars with us each year, so it’s imperative that they have a flawless experience at the festival from start to finish. 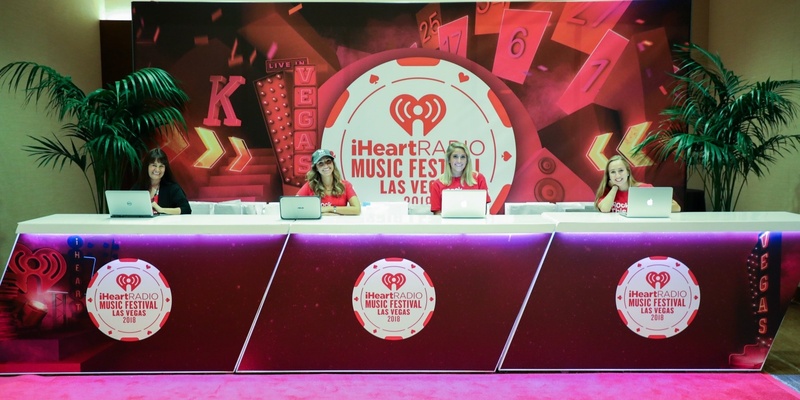 The Concierge.com team plays a crucial role in making sure that the iHeart experience is smooth from the moment they leave for the event, until the moment they return home. Every year before leaving for the festival, contest winners are invited to join a closed Facebook group where they receive event updates and can connect with other winners all around the country. This year, I logged into the group and read what everyone was posting -- almost everyone wrote about what an amazing, once-in-a-lifetime experience it was, how they’ve been following the festival for years, and couldn’t believe that they were there in person. For some, it was their first time in Las Vegas or even their first time on a plane. It’s crazy that we have such a positive impact on these winners from all over the country. Flipse: We want all of our guests to have an amazing experience from start to finish -- from their flight to Las Vegas to their flight home. The Concierge.com team plays a huge role in that overall experience. However, if someone has a bad experience with the airline or they get to the hotel and there’s a problem with their reservation, those experiences will leave a bitter taste in their mouths throughout the entire weekend. Our invited guests, whether they’re contest winners, clients, partners, or VIPs, make up a huge proportion of audience members in the arena. Because we provide such a great overall guest experience, their energy at the show is heightened. If they had had trouble in transit or are not having a great weekend in general, they might still enjoy the show, but not be able to fully embrace the experience. 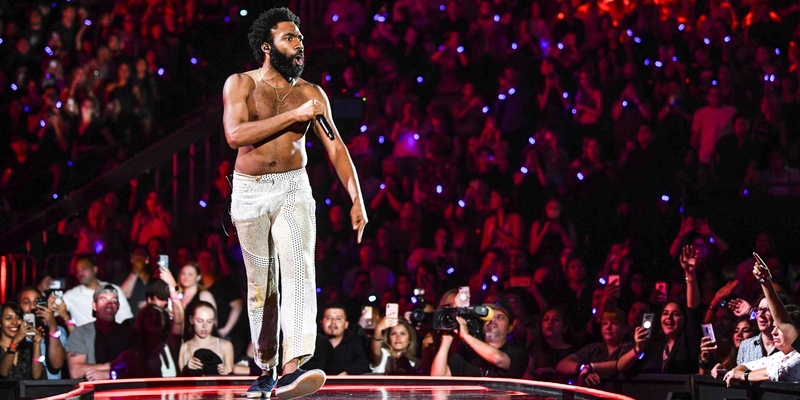 It’s important to the artists performing that the audience be engaged and connected, so they can absorb and play off of that energy. Describe iHeart's relationship with Concierge.com. When did you start using the system/how do you use the system? Flipse: We started using Concierge.com in 2011 when it was still an offering of Pop2Life called Promo2ools. When Pfeffer headed up our events team he had a relationship with Eric Murphy, founder of Pop2Life and Concierge.com, on the experiential side of the business for actual event production. We only used the service to manage contest winners that year. Going into the second year, we saw what an excellent job the team did managing winners, so we had them take over management of all staff and VIPs as well. Because of this long-standing relationship, Pop2Life built a lot of custom software capabilities around our needs. As it’s grown into Concierge.com the features have advanced and grown with us. What is your best piece of guest management advice to share with other event marketers? Bussanich: Imagine yourself taking this trip -- think of the questions you would ask, the things you would expect, and the experiences that would blow your mind. That’s what we do for each event, and for the following year, we try to figure out how we can top it. 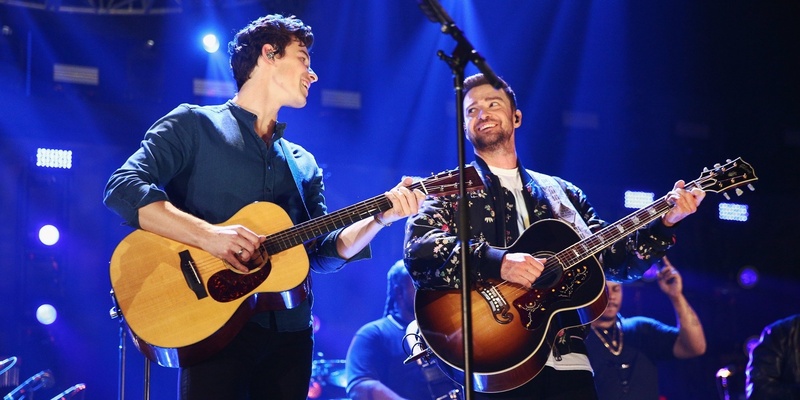 What's your all-time favorite iHeartRadio Festival performance or memory? Bussanich: I know mine. Coldplay in 2017. I love Coldplay and their vibe on stage. I took a video of their performance of “A Sky Full of Stars” and I watch every now and then. 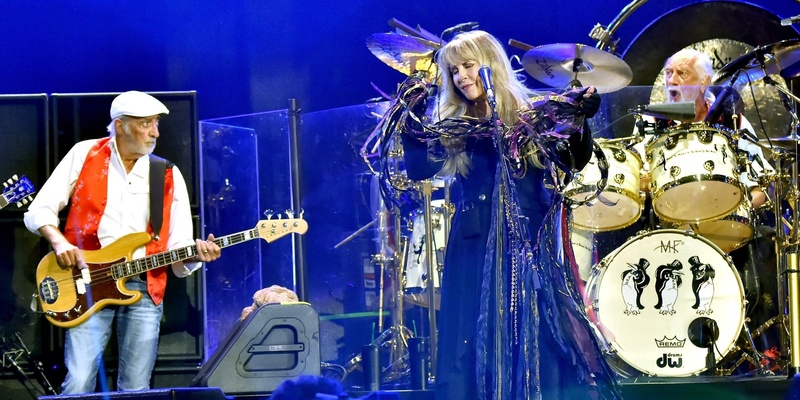 The experience was really magical and I still need to see them on tour. Flipse: I have two. Paul McCartney in 2013. I used to manage the VIP platforms on the side stage during the shows. That year, I was standing at the entrance to the platform, which was kind of behind the stage, by the speakers. McCartney was performing “Live and Let Die” and he had a set of pyrotechnics go off. Because I was behind the stage, I was so close to the explosions. I knew the pyrotechnics were coming, but I was in work-mode and not paying close attention to the show. All of a sudden these explosions go off around me and I jumped into the air out of shock, it about scared me to death, it was crazy! That same year, Justin Timberlake was closing the show and I was still working the VIP platform, but by that point in the night, I was able to leave my post and enjoy the end of the show so I watched him perform his last song, “Mirrors.” I’m in this business to watch the reactions of the crowd -- I love looking out and knowing, everyone here is having the time of their lives and we helped put it all together. As Timberlake was singing, he got to the a cappella part of the song they lifted all the lights to illuminate the audience. I saw everyone on their feet singing and it was just a moment where I got chills and thought, wow I can’t believe this is my job.